EnerSys is proud to announce its new OptiGrid Stored Energy Solution! This flexible, turnkey system allows utilities to integrate large battery systems into their power grid structure to provide stability, improve power quality and efficiency, moderate peak demand and Integrate renewable resources. Read the full press release. EnerSys is the world leader in stored energy solutions for industrial applications. We manufacture and distribute reserve power and motive power batteries, battery chargers, power equipment, battery accessories and outdoor equipment enclosure solutions to customers worldwide. Motive power batteries and chargers are utilized in electric forklift trucks and other commercial electric powered vehicles. Reserve power batteries are used in the telecommunication and utility industries, uninterruptible power supplies, and numerous applications requiring stored energy solutions including aerospace and defense systems. Outdoor equipment enclosure products are utilized in the telecommunication, cable, utility, transportation industries and by government and defense customers. 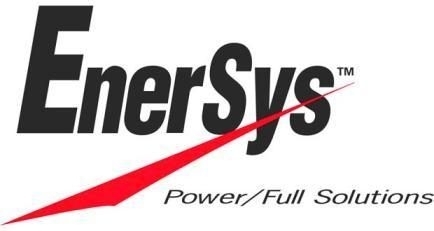 EnerSys also provides aftermarket and customer support services to customers from over 100 countries through our sales and manufacturing locations around the world. At EnerSys, we maintain our leadership position by providing customers with world-class products and services, achieved through total employee involvement, teamwork, and supplier partnerships. Exceeding our customers' expectations and supplying the highest quality products and services are paramount at EnerSys. This belief is the foundation that helps shape the company's vision for progress and allows our customers to achieve their goals.